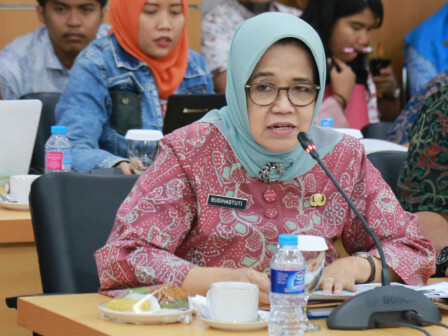 The Regional Employment Agency (BKD) through the electronic attendance recapitulation data until Wednesday (1/2) at 4.25 PM showed that, around 1,441 or two percent of total 65,332 civil servants (PNS) under Jakarta Provincial Government are absent without information on the first day of work in early 2019.
" Our data is not yet valid or can change again until evening"
The data shows discipline in employee attendance has improved. Jakarta BKD Acting Head, Budihastuti stated that his party will ask for clarification to all SKPDs related with employee absence. This number does not include school teachers, as teaching and learning activities in schools have not yet taken place. "Our data is not yet valid or can change again until evening, as maybe employees who don't attend get duty out of the city and are only absent after duty. In future, all absent employees without information will be clarified," he told, Wednesday (1/2). He furthered that the number of PNS who do not attend with information on the first day of work was 17,364 employees. "Most get illness, take leave, still ongoing education duty, so forth," he sa id.